Scuba diving is becoming more and more popular especially for those going on holiday who don’t want to just spend all their time sat on the beach. If you want to get out there and really see some sights, some of the best sights our planet has to offer are sitting under water just waiting for you to discover them. So where’s the best place to do some scuba diving if you’re new to the sport? When you say diving even the most inexperienced has heard of the Great Barrier Reef because it’s the world’s largest and most famous reef system made up of thousands of individual reefs. The reef is situated just off the north east coast of Australia and can actually be seen from space. 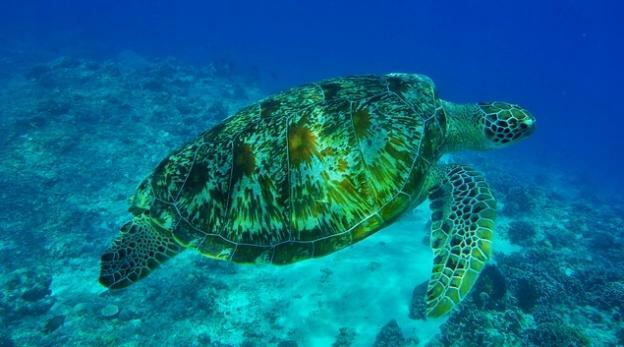 Due to the protected status of the reef diving or other human disruptions are heavily monitored but there is still plenty left that can be seen. Despite the protected status of so much of the reef it’s still the most popular destination for divers which means there’s something for everyone from the complete novice to the most seasoned pro. So if you’re looking for a truly unforgettable life experience you need to head over to the Great Barrier Reef. Florida is one of the most popular holiday destinations in the world so it’s not surprising there’s plenty to do there. If you are planning to squeeze some scuba diving inbetween theme parks and sight seeing you’re not going to be disappointed. The warm golf water encourages some of the most amazing marine life you’ll see anywhere in the world. A short boat ride can often take you out to breathe taking corals and fascinating wrecks with Florida offering the largest artificial reef (plus hundreds of real ones) in the world. With thousands of great dive locations to suit all abilities the only trouble you’re going to have is deciding which one you want to try first. Sat in the Caribbean Sea the Island of Cozumel off the coast of Mexico is one of the most famous diving sites in the world. This island makes most its money from tourism so if you’re heading there on holiday you’re going to be well catered for. The stunning coral reefs and the sheer quantity of amazing tropical fish mean divers form all over the world flock to these waters. You can even take in these stunning under water scenes with just a snorkel and mask making it idea for those new to diving. This reef is second in size only to the Great Barrier Reef of Australia so there’s plenty to see and explore. Comprising of over 17,000 islands Indonesian waters are home to around 15% of the world coral reefs and is a very popular holiday destination. 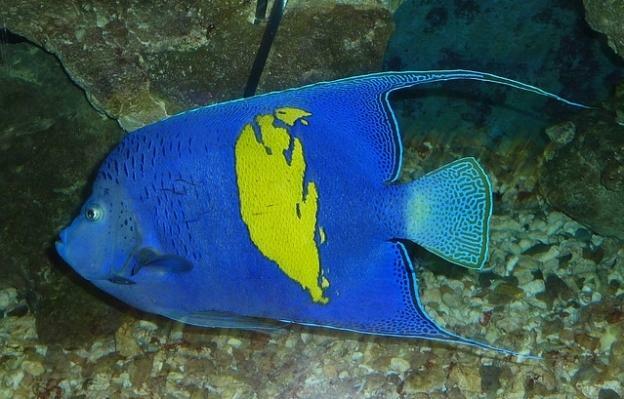 These tropical waters house thousands of species of fish and coral along with deep water trenches, underwater volcanoes and sunken ship wrecks. The Indonesian islands offer everything from metropolitan cities to uninhabited islands and everything in between so there’s bound to be something to suit you. This amazing diversity means every level diver is catered for so if you want to go really exploring or your just want to see some stunning underwater wild life they’ll be something here for you. Hurghada is one of the most popular locations for holiday makers heading over to Egypt and the Red Sea. Due to the excessive temperatures all year round it’s not surprising that most holiday makers decide to spend as much time as possible surrounded by as much water as possible and it boasts some of the most beautiful reefs in the world, hardly surprising given the temperature. There’s even plenty to explore by snorkelling if you don’t fancy donning all the equipment needed for a proper dive. For the more experienced diver having the Red Sea on the doorstep can be a little too tempting given the massive potential this stretch of water offers. The Maldives are one of the top locations for people looking for luxury holidays with paradise beaches and tropical climates but you can’t spend all day every day lying under a palm tree with the waves lapping at your feet. The Maldives are one of the prime locations in the world for diving. If you’re new to diving this is the ideal location to get up close and personal to sharks, turtles and other stunning marine life. If the thought of all that open water doesn’t do it for you the Maldives is made up of several atolls that will allow you the chance to dive cocooned in the safety of the surrounding land making it the ideal location for novice divers. 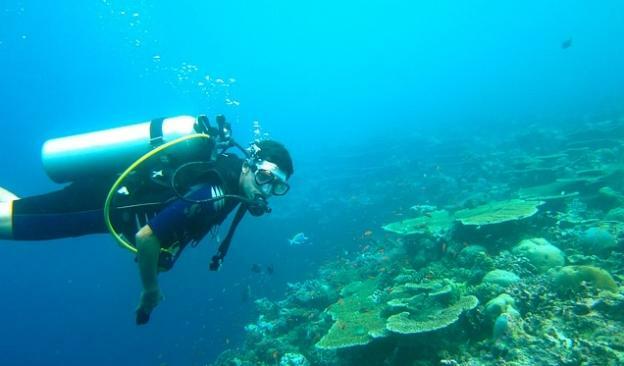 Mark, the author of the “6 best scuba diving locations for beginners” is a scuba diving enthusiast and a travel blogger who has recently moved to Caribbean for a long term scuba diving holiday.